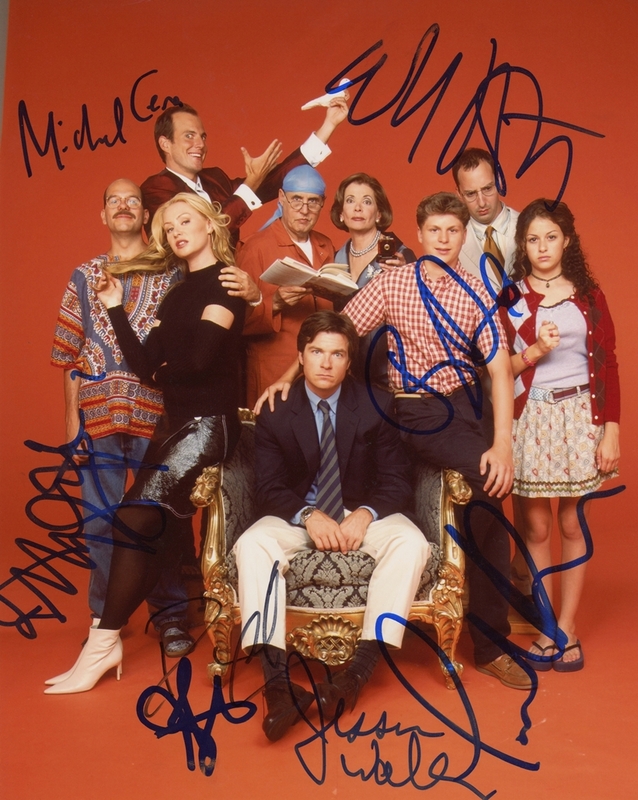 We never sell copies or reproductions of any kind; this photo has been hand-signed by Will Arnett, Jason Bateman, Michael Cera, David Cross, Portia de Rossi, Tony Hale, Alia Shawkat, Jeffrey Tambor & Jessica Walter . Will signed this photo at the 2012 Tribeca Film Festival on April 21, 2012. Jason signed this photo at the "Late Show with David Letterman" on January 30, 2013. Michael signed this photo at the "Late Show with David Letterman" on August 25, 2014. David signed this photo at the "24 Hour Plays" performance on November 14, 2011. Portia signed this photo at the "Arrested Development" reunion on October 2, 2011. Tony signed this photo at the "Late Show with David Letterman" on July 10, 2013. Alia signed this photo at the "Arrested Development" reunion on October 2, 2011. Jeffrey signed this photo at the 2012 NBC Upfront party on May 14, 2012. Jessica signed this photo at the FX Upfront party on March 28, 2013.